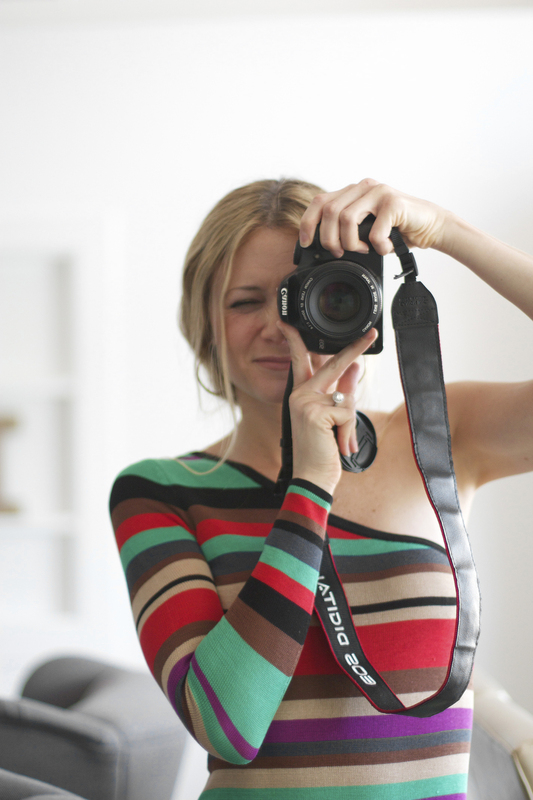 I'm so excited to share this post with you guys because it's not everyday that I have a giveaway for ya! Whoo hoo! Let's get started. 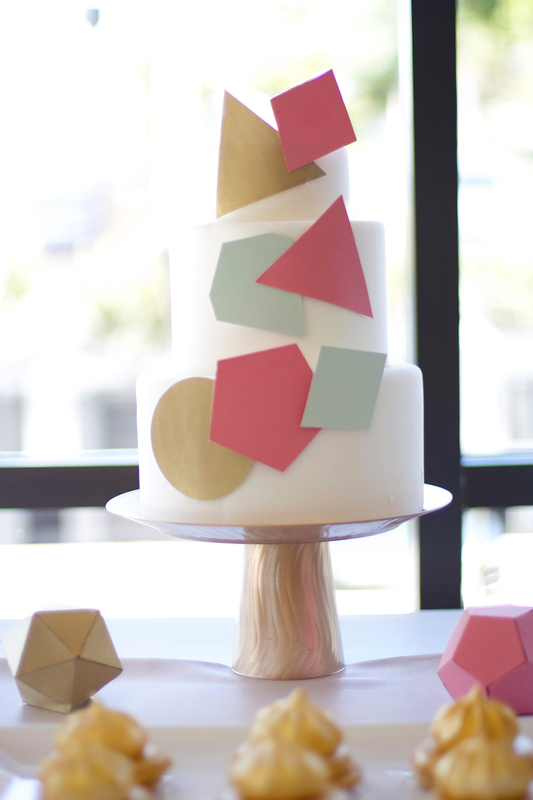 So I created some fun geometric party inspiration for you. This theme is perfect for a bridal shower, baby shower, or birthday. I'll have a party printable set for you in the near future. For now, let's talk details. I shot this spread at the amazing new restaurant here in AZ called The Henry. They were so wonderful to let me use the space. The rugged reclaimed wood was a perfect contrast to the polished geometric shapes. I set up a relaxed dinner table and a sweet dessert table. 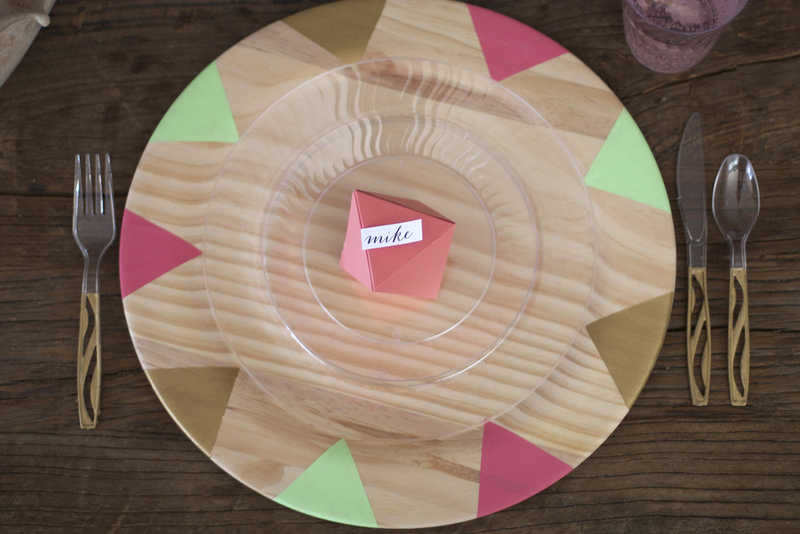 I started the place settings with some wooden charges that I dolled up with some painted shapes. I'll have the full tutorial for those next week. I topped the chargers with Chinet© plates (Chinet© Cut Crystal© Dinner Plates to be exact) and dessert plates because who wants to do a ton of dishes after a party. I also used Chinet© cutlery and cups. I painted the ends of the cutlery with gold paint. 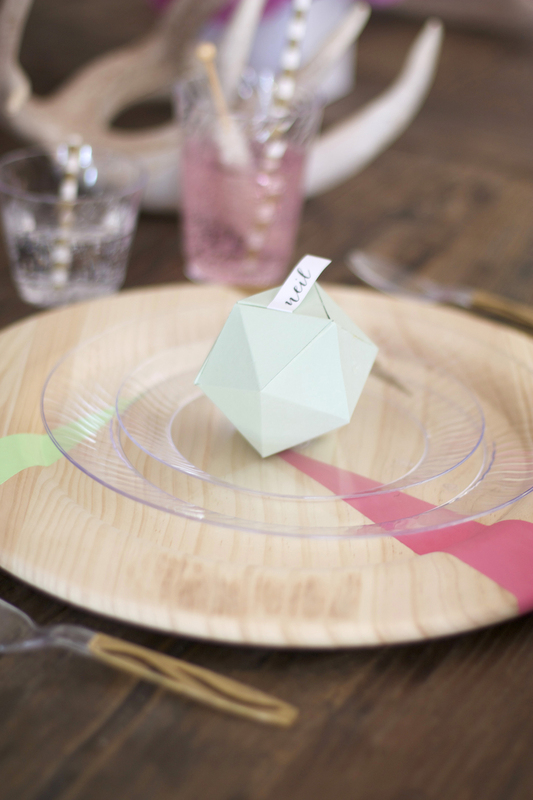 The final touch for the place setting was geometric box place cards. You can fill these with surprises. The guest pulls his/her name to open. For the geometric shapes on the cake I actually used card stock cutouts, glued some wax paper to the back, so no grease would come through, and stuck these on using frosting. This is an easy way to add some details to your cake! To make the arrow meringues, I bought some meringues from Trader Joe's. I drew triangles on them using a food marker. 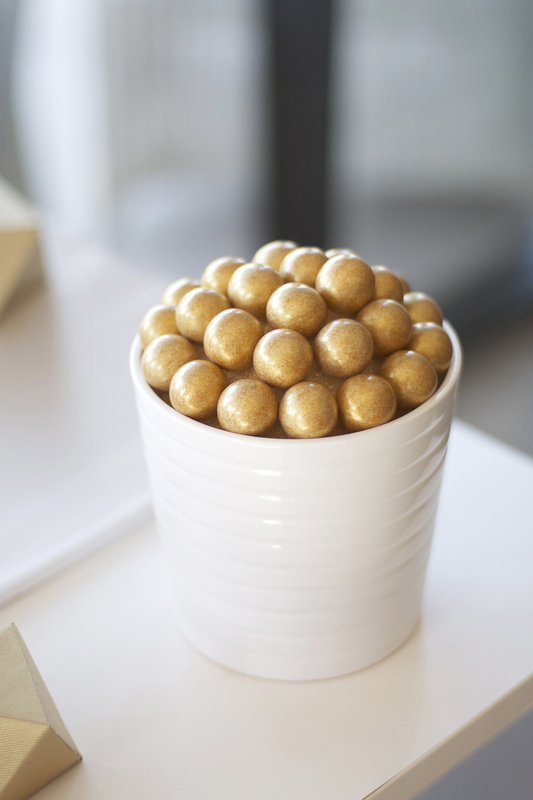 Check out this post to see how I made these beautiful desserts gold. The dessert you see above is just a meringue stacked on a macaron. I think they look cute displayed like that. What do you think? 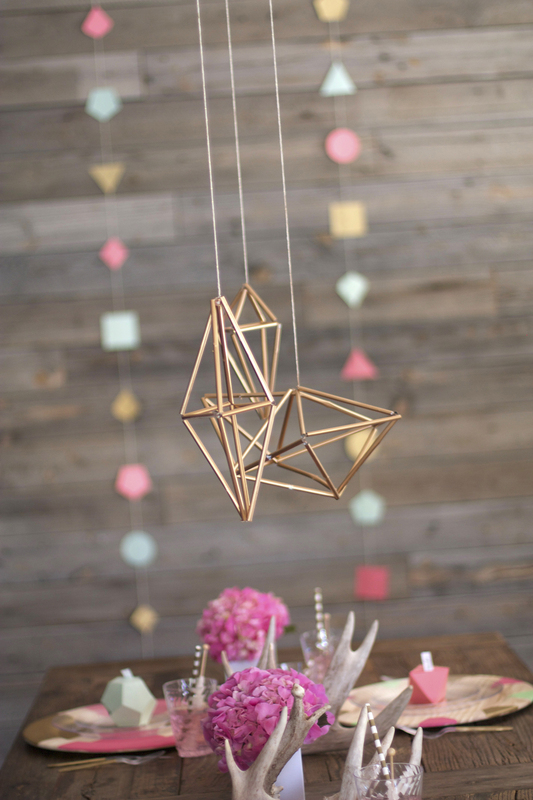 Here is a tutorial for these geometric pendants. Hint: they are made from straws and string. I'll have a tutorial for the big shapes soon. Glue the bottom of the cup to the bottom center of the plate. Cover the top of the cake stand with tape and a plastic bag. Spray the rest of the cake stand with your spray paint leaving the top unpainted. This is so the cake stand stays food safe. How simple was that? So I have another secret ... I made the cupcake wrappers. Plastic cups make a great liner for any card stock or paper you want to use because no grease gets through. Here's the tutorial. Cut your cup in half. Print the cupcake wrapper template. Trace and cut this out onto your paper or card stock of choice. Wrap and glue your card stock or paper around your cup. Aaaaaaand you're done! The winner will be chosen at random and will be selected by May 17, 2014. This post and giveaway is sponsored by Chinet©, all opinions are my own.